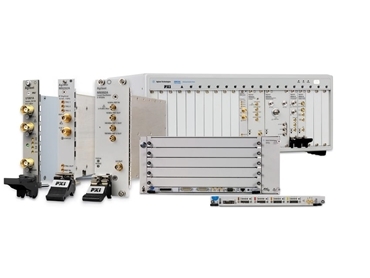 Agilent Technologies has expanded its test and measurement portfolio into the modular domain with the introduction of 46 new PXI and AXIe modular testing products. The new modular testing products bring Agilent's measurement expertise in advanced measurement software and high-performance hardware to the modular form factor. These products will also enable new capabilities that were not previously available across analogue, digital, RF, microwave and lightwave test technologies. Agilent is committed to providing test solutions in platforms that suit the preference of customers including benchtop, handheld or modular formats. Agilent's line-up of 46 PXI and AXIe modular testing products includes digitisers, arbitrary waveform generators, digitising oscilloscopes, digital multimeters (DMMs) and a range of switches. The modules include IVI-C, IVI-COM and LabVIEW(G) software drivers and enhanced input/output (I/O) libraries. All drivers are optimised for testing applications that require high performance, high speed and high throughput. The Agilent M9392A line of single-vendor PXI microwave vector signal analyzers (VSA) is enhanced by Agilent's powerful 89600 VSA software. This combination enables detailed analysis of communications, radar and avionics signals up to 26.5 GHz and provides instantaneous bandwidth of 250 MHz for use in next-generation wireless systems and other applications. The new M9018A PXIe chassis provides high performance and great flexibility with 16 hybrid slots. The M9018A is designed for data-intensive applications in communications, imaging and radar that require wide bandwidth from module to module or between the modules and the system controller. Two AXIe 1.0 chassis are available and include two-slot (2U) and five-slot (4U) models, delivering the advantages of AXIe, robust power, cooling and timing systems in a platform for multi-vendor systems. AXIe's large board size is ideal for high-performance instrumentation while requiring only a minimum of rack space. Agilent U4301A PCIe Gen 3 analyzers, the measurement modules capable of working in an AXIe chassis, enable accurate multi-gigabit signal capture and protocol testing. The open-system nature of the module enables customers to analyse wider serial buses and perform multi-domain testing in digital and computing applications.